When we think about artworks featuring women as central characters, we might consider renowned works such as Mona Lisa by Leonardo Da Vinci, Marilyn Monroe by Andy Warhol, and Birth of Venus by Sandro Botticelli. There is, however, a vast array of artworks containing wondrous women in a variety of roles right here in the Blanton’s collection of prints and drawings. 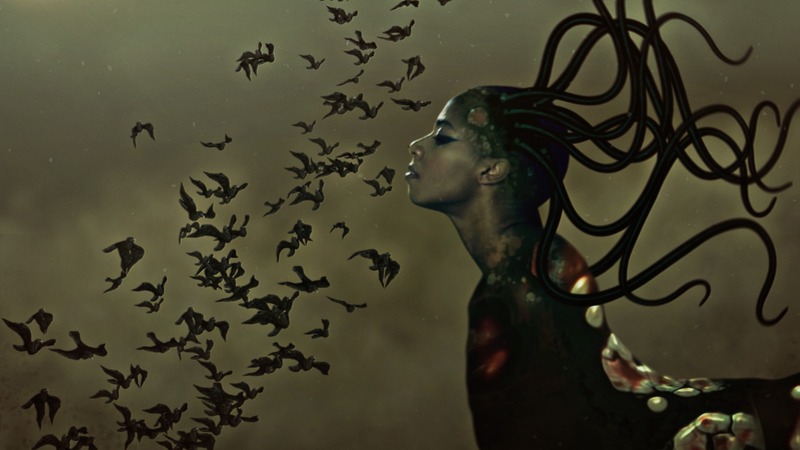 In anticipation of a specially-curated Third Thursday pop-up exhibition at the Blanton, we’ve pulled together this selection of bold, beautiful works that celebrate women’s representation in art since the 17th century. 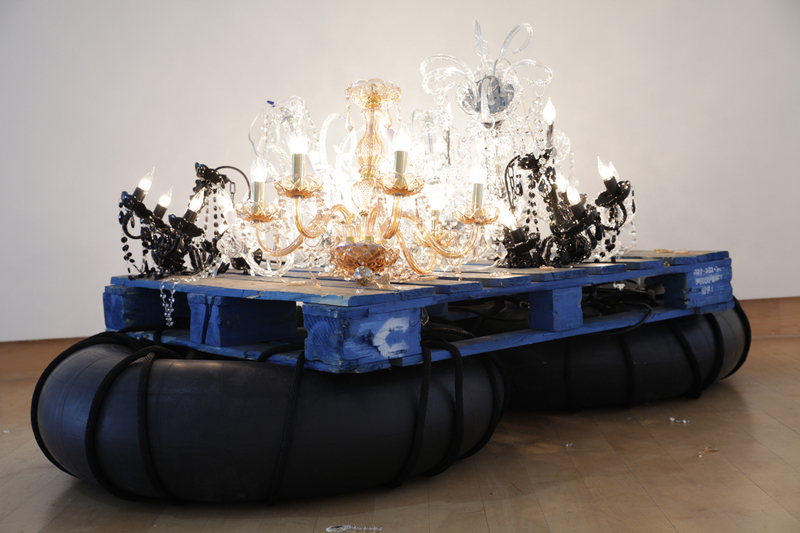 The pop-up, Wonder Women, also features female artists such as Maria Catharina Prestel, an engraver and painter who worked during the 18th century, and Margaret García, a contemporary muralist and printmaker. Wonder Women will be on view to the public in the Julia Wilkinson Center for Prints and Drawings from 5:30pm-8:30pm on Thursday, October 18. Admission is free. 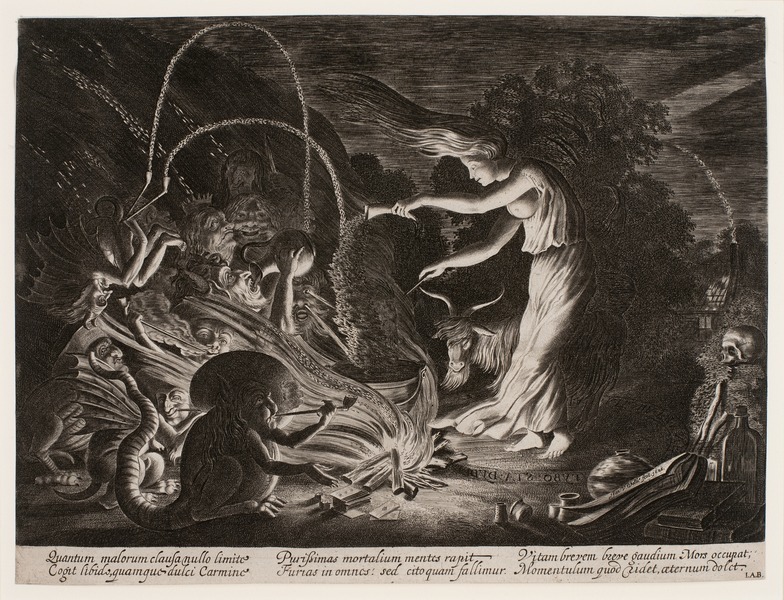 This engraving from 1626 represents an archetypal woman, the Sorceress. The young, confident witch pours an ingredient into her pot, as she convenes with an audience of demons and fantastical creatures. The swirling, circular lines and the glow from the fire highlight the sorceress’s power as a supernatural force. In Virtue Attacking Vice, engraver and painter Maria Catharina Prestel depicts the feminine Virtue subduing the masculine Vice. Gold leaf frames the figures’ bodies and highlights Virtue’s vigorous physique. 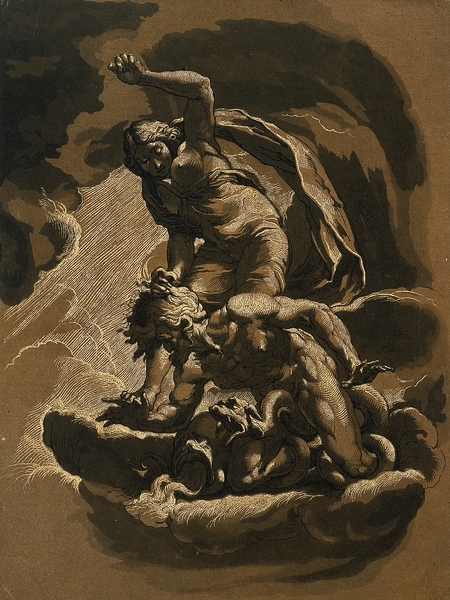 Unlike in van de Velde’s work, here, the female subject is imagined as a powerful force for good. 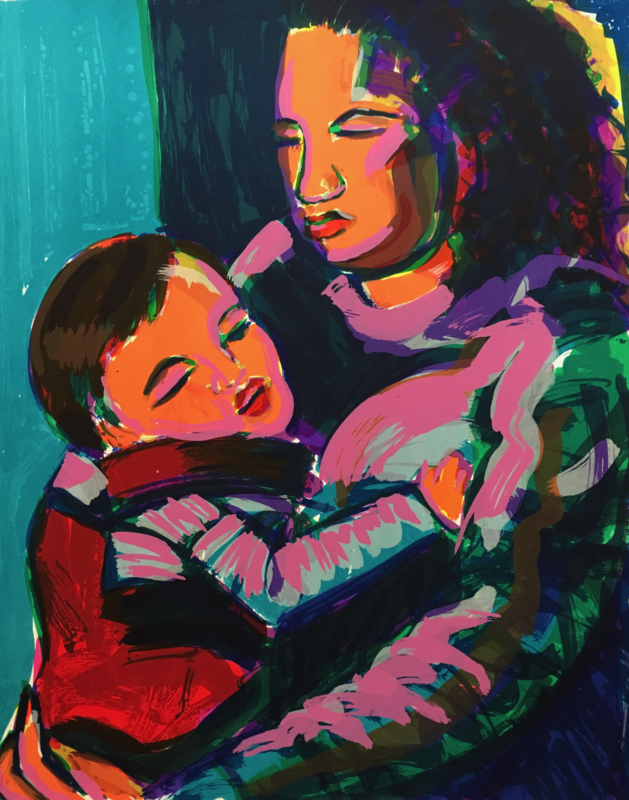 Margaret García’s screenprint F. Emilio and Mom utilizes a vibrant palette to depict a tender scene between a mother and her child. Although this work is from 1991, Garcia shows she is firmly rooted in the tradition of Mexican folk art through her use of a flat compositional space and an expressive palette, alluding to the long history depicting caregivers in art. 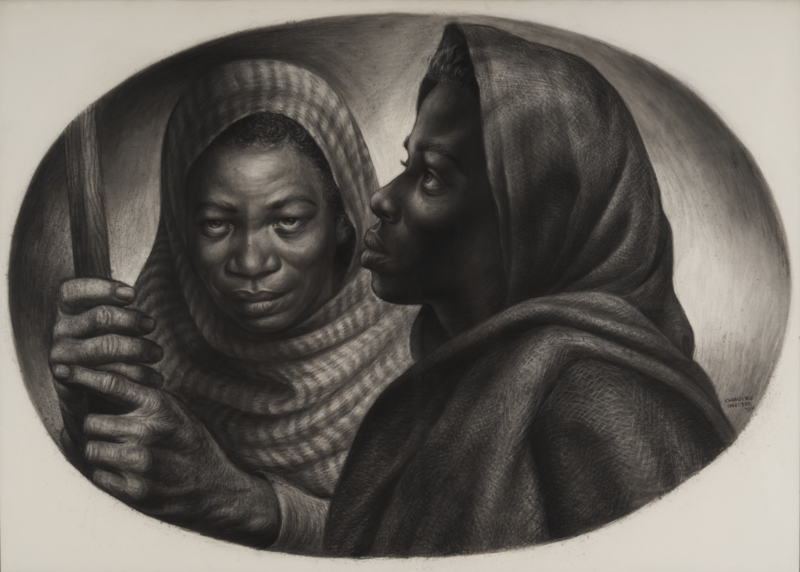 Charles White’s 1954 drawing General Moses and Sojourner Truth, represents two famed African American women who fought for equality in different ways. Harriet Tubman is presented in the guise of “General Moses,” grasping a staff like the one Moses used to part the Red Sea. The intellectual nature of Sojourner Truth’s writings and speeches in support of abolitionism and women’s rights is suggested through her upward gaze, in contrast to Tubman’s direct engagement with the viewer. The Mothers is part of a series Käthe Kollwitz created after the First World War. In this work from 1922-23, she depicts the “unspeakably difficult years” of World War I and its aftermath. 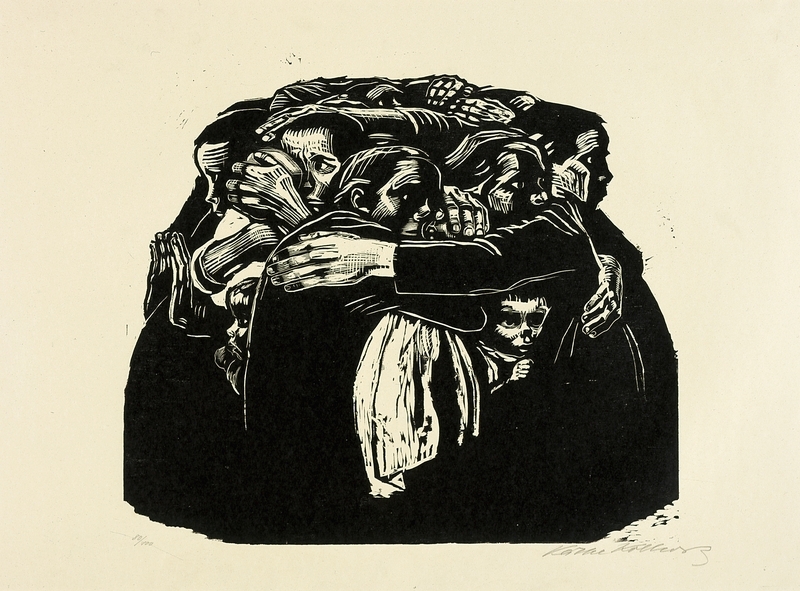 Kollwitz uses the harsh lines of the woodcut to communicate the interlinked power and pain of mothers struggling to raise their children amidst the dangers of the world. “Wonder Women” was curated by Arianna Ray, IFPDA summer intern and UT Art History graduate student. Käthe Kollwitz, Die Mütter [The Mothers] looks like the familiar plight of today’s mothers.